Residential plumbers and commercial plumbers in Jacksonville are not one and the same, although some plumbing companies specialize in both. 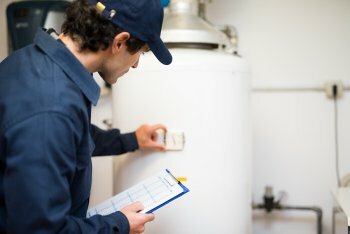 Just like the average home does, commercial businesses rely on water heaters and sewer lines on a daily basis. However, chances are that a lot more people will be using a commercial plumbing system than the one in your house. In this case you need a plumber who has experience in commercial plumbing. The stakes are higher, and a plumbing emergency could shut your doors and sideline your business for an extended period of time. Eagerton Plumbing is proud to help businesses with their plumbing, so read on and make the most of our commercial services. If you want to keep your peace of mind while you take care of your business, you should have a commercial plumbing professional you can rely on. At Eagerton Plumbing, we’ve got plenty of experience in commercial plumbing services and can get you fixed up in no time. We specialize in new installations as well as repairs, and we can also handle re-piping. Our team will offer a free estimate so you know exactly what you’re looking at and can keep your finances on track. 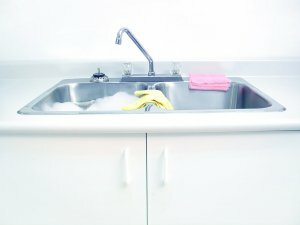 Is It Possible to Clean Your Garbage Disposal? You use your plumbing system every day, from flushing waste to the sewer to getting hot water on demand thanks to your tankless water heater in Jacksonville. Your garbage disposal is another plumbing appliance that makes life easier, but you can take some of the pressure off by keeping it clean. Watch this video and find out if it’s possible to clean your garbage disposal. Not only is it possible to clean your garbage disposal, it’s also recommended. Regular cleaning will keep it functioning properly and minimize the chances of clogs and backups. Furthermore, cleaning the garbage disposal is easy. All you need to do is cut a lemon into small slices and place each one in an ice cube tray, then add white vinegar and put the tray in the freezer. Then place the cubes in your disposal and run the water, repeating until you’re out of ice. Finding the perfect color scheme for your kitchen is essential for your design, and the right palette may be just what your kitchen was missing. However, you also need to think about the aesthetics and practicality of your appliances and fixtures when you get ready for a kitchen remodel near Jacksonville . Kitchen design and bathroom design are unique, because you must think about what kind of sink you want and how it will affect your space. Consider maintenance, cost, and how you want your kitchen to be laid out. Here’s how undermount and drop-in kitchen sinks compare. The characteristic that defines the difference between undermount and drop-in kitchen sinks is the way it was installed. While the former is installed from under the counter, the latter “drops in” to the counter. In terms of maintenance, they both have their perks. An undermount sink doesn’t have lips that rest on the countertop, so it makes it easier to keep the surfaces of your counters clean. Drop-in may be your choice if you’re more concerned about cleaning the sink itself, because you’ll have easy access to the whole sink. Undermount and drop-in kitchen sinks both have pros and cons in the finance category too, so do your research before you get your kitchen remodel going. Drop-in sinks are less expensive than undermounts. The sinks themselves are much more affordable, but the installation discount is not as much of a jump. If you plan on selling your house, you should know that undermount sinks offer better resale value, but this is not by a huge margin either. In general, undermount sinks offer more potential value, while drop-in sinks are more cost effective from the beginning. A busy kitchen may be difficult to work in, so an undermount sink is the way to go if you need all the countertop space you can get. Since there aren’t any lips overlapping from the sink to the countertop, your work area will look and feel more open. Think about what’s most important to your kitchen remodel to make the best choice. Everyone makes mistakes, but some mistakes can be costly and end up causing problems that only your plumber can fix. There is one especially important mistake to avoid that could compromise your drain line installation and cause serious clogs that bring down your plumbing system. Watch this video for a look at a critical error in intersecting horizontal drain pipes. Drain pipes are responsible for removing waste from your home, but they can only function properly if they’re set up the right way. One of the biggest errors you can make is choosing the wrong DWV fitting. A T fitting creates a perpendicular angle between two drain pipes, so the waste doesn’t know which way to go. That’s why you need a wye bend with a sweep. You can use a wye bend with an additional side inlet, or you can buy one piece that has both components.